The part I love about food is how different religions and countries use food to celebrate special times, Christmas, Hanukkah, Chinese New Year, Easter etc. Each festivity is marked by their food and what they serve at each holiday. For Hanukkah it is the traditional latkes, applesauce, rugelach and chocolate coins! 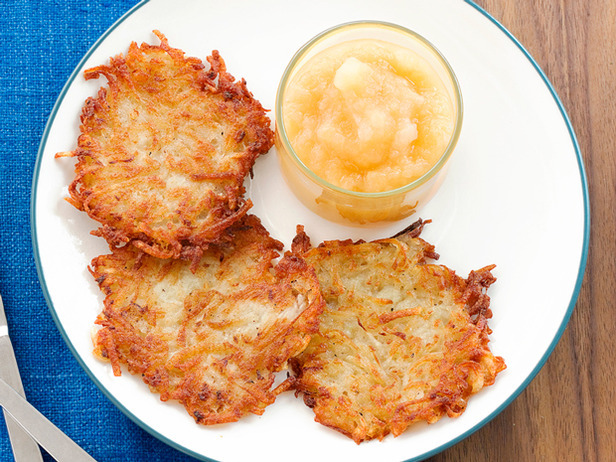 I thought I would just share a great latke recipe, wonderful during the year not only at Hanukkah! Latkes are a traditional food eaten during the Hanukkah festival as the oil for cooking the latkes is reminiscent of the oil from the Hanukkah storey that kept the long-lasting flame alive – the celebrated miracle. Try them out, they are just delicious with traditional applesauce but for a twist or to use them for entertaining use them as the base for smoked salmon and chive cream cheese! - Peel baking potatoes and cut lengthwise into quarters. - Add ¼ cup of mixture per latke, leaving space between each, flatten slightly. - Cook for 3 minutes until browned and crisp around edges, turn and cook for 3-5 minuets longer.